Looking for the latest headlines right here? Be sure to update your bookmarks and head on over to www.beckett.com/news — our new home on the new-look Beckett.com. You’ll find everything you normally found here over there — and more. Excuse the dust and a few glitches here and there as we work out the kinks. In the college ranks, there’s typically one man who stands above the rest. While countless coaching legends have appeared on cards through the years, it’s in Collegiate Licensing Company-approved and draft pick products where the legends are often found. 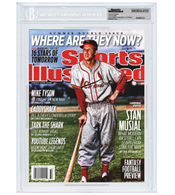 The likes of Bobby Knight, John Wooden, Bobby Bowden, Tom Osborne and many more have made their way into packs. But there are still more to be found — and that’s where the latest effort from Upper Deck comes in. Moments ago, via Twitter Topps announced its product nod to the Lombardi-lugging Green Bay Packers. Celebrating the Packers’ Super Bowl XLV victory on cardboard, a limited 27-card set is available for sale on Shoptopps.com. Cheeseheads far and wide can expect the commemorative blister pack to ship on the week of Feb. 28. The Packers have been crowned kings of the league and Super Bowl XLV is over and done with. While the confetti at Cowboys Stadium marked the end of another season, collectors can certainly fill that football void with the ever-expanding hobby offering. Officially scheduled to release next Wednesday, Panini’s 2010 Playoff Contenders is a near-future means of savoring the gridiron beyond the big game. 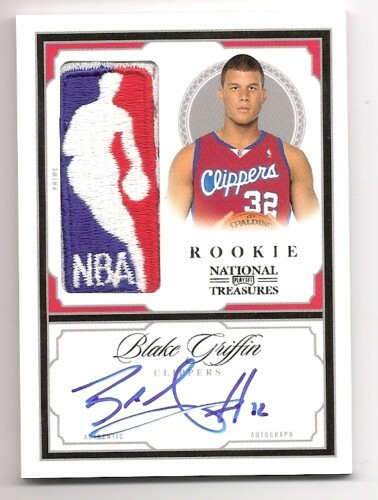 We’ve looked at Blake Griffin’s cards before on the blog. We asked which of his rookie cards would you like to own. But if you could own any of his cards – rookie card logo rules withheld – would this card be it? The seller is not accepting any low-ball offers either. He states directly in his auction that anything submitted under $15,000 will automatically declined. Twenty offers have already been submitted, but he hasn’t taken any yet. In the last year, we’ve seen some cards go far tremendous prices – mostly in the baseball world such as Stephen Strasburg’s 2010 Bowman Chrome Superfractor. But if this card were to go to auction, what do you think would be the final price? With temperatures finally reaching the 30s and some direct sun, the winter storm that tried to stop Super Bowl XLV is finally melting. Remedying a case of cabin fever yesterday, I managed to drive over to a nearby retail establishment to pick up some necessities (and a pack of 2010 Topps Prime Football, of course). Last night, I opted for some take-out Chinese food and saved the pack for this morning’s video.